Apex Environmental is pleased to offer an award-winning multi-parameter, real-time sensor platform (portable or permanent) that accurately and reliably measures BOD, COD and faecal coliforms for permanent and temporary applications.. The Proteus is the world’s first scientifically proven real-time sensor for measuring BOD that can measure a wide range of applications. A multi-probe that measures your choice of parameter, all in one package, that can deliver data in the toughest field conditions. The Proteus has been designed for its ease of use, reliable data and economical operation. 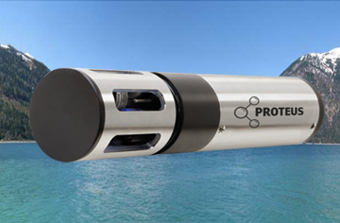 “The Proteus range of multiparameter sensors represents a step change in real-time monitoring of dissolved organic matter. The state of the art monitoring platform incorporates the latest technology to provide accurate, reliable and maintenance free monitoring of Biochemical Oxygen Demand (BOD) and Dissolved Organic Carbon (DOC)”.